My name is Renee and I love kitchen gadgets. Let me tell you a little story. About 12ish years ago, I went to a street festival with one of my besties. We came upon a tent where if you signed up for a newspaper you got a kitchen gadget. Did I need the newspaper delivered to my apartment? No. Did I need one the gadget gifts? Hell YES! Or so, I thought. So i eagerly signed up to receive the newspaper and chose my gift. A HUGE slow cooker. It was heavy and was packaged in a massive box. They made a temporary handle and off we went. I was so excited thinking about all the meals I would make with my new slow cooker. Well, after 5 minutes, I wasn’t so happy that I had to schlep it through the festival, in the heat and through all the crowds. That was the first and last time I ever signed up for anything at a street festival, but my love of kitchen gadgets hasn’t wavered. Below, I’m sharing some of my favourite kitchen items that I can’t live without and are all available on Amazon. 1. My Cold Press Juicer. I will admit that I jumped on the cold press juice train, but its a train that I’m on and staying on. We love cold press juice in my house. 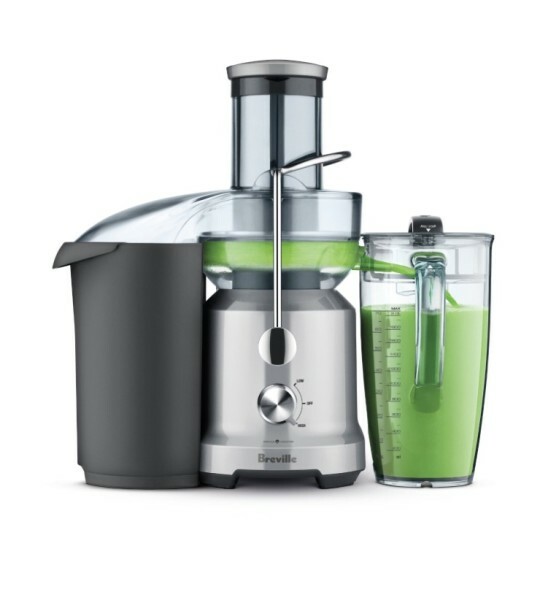 When my husband asked me what I wanted for my 35th birthday, most people may ask for jewellery or a trip or something else, but I just wanted this juicer. I have to say, that I love this machine. It’s easy to use, easy to clean (as long as you do it right after you use it) and it makes delicious juice. 2. My vegetable peeler. This isn’t a very fancy kitchen gadget and one that you don’t really need because you can just use a knife, but my vegetable peeler is fabulous and I seem to use it ALL the time! My kids like cucumber slices without the skin and this way I can peel the cucumber evenly instead of cutting chunks out with a knife. 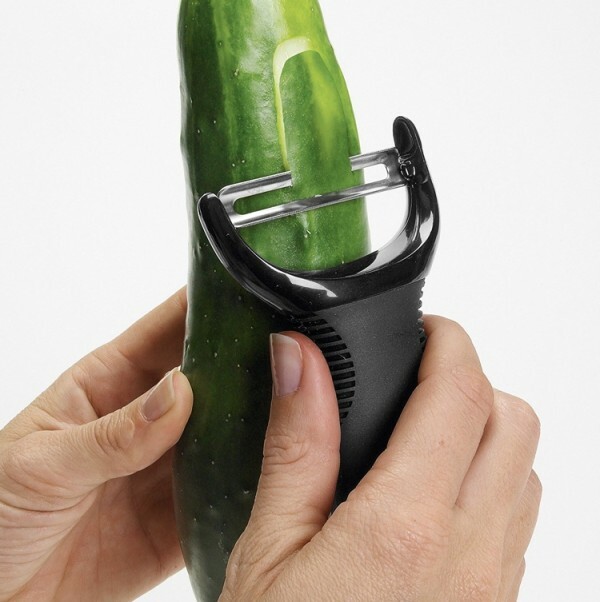 I have also used my peeler to make flat zucchini noodles for a pasta-less lasagna. 3. 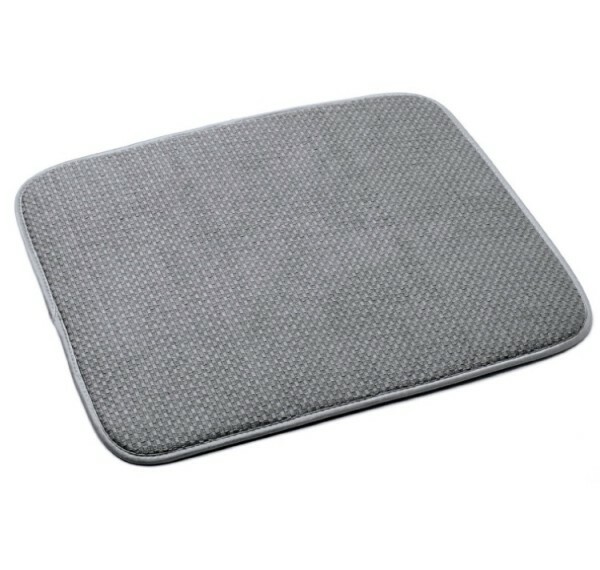 Microfiber dish drying mat. Ok, so I wouldn’t technically classify this as a “kitchen gadget” but it is something that I can’t live without in my kitchen. For as long as I’ve lived on my own, I have had a microfiber dish drying mat beside my sink. Whether its placing items I’ve just hand-washed in the sink or from the dishwasher, this mat makes sure my counter doesn’t get wet. 4. 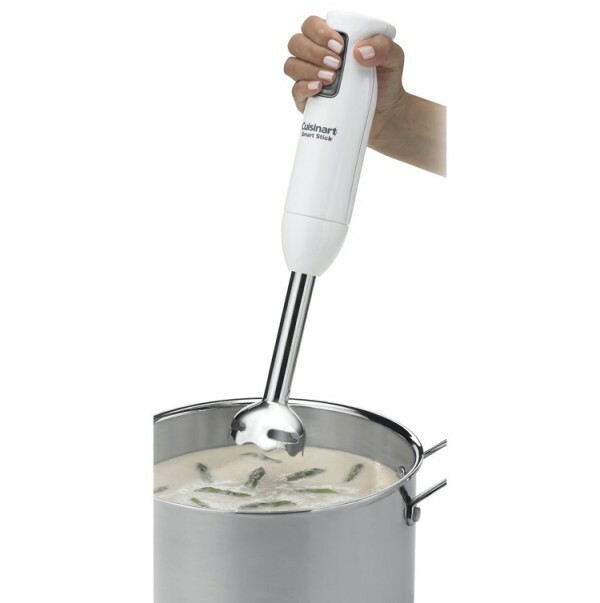 Handblender. This handblender is compact and easy to store. It is perfect for pulverizing cooked veggies for soups and frozen fruits etc for smoothies. It’s also easy to clean too. 5. Produce Savers. I took a risk on these containers a month ago as my produce seems to go bad quite quickly. The good news is that they actually work! They kept lettuce crispy and fresh for close to two weeks and cut and cleaned celery for over one week. The pack came with three sizes but you can buy extras like I did if you are happy with the result! 6. Over-the-sink-Colander. Growing up my mom always had an over-the-sink-colander. It makes it super easy to wash or drain larger amounts of food and not have to worry about having a free hand to hold the colander. A plus is that its dishwasher safe so it is easy to clean! Now it’s your turn! 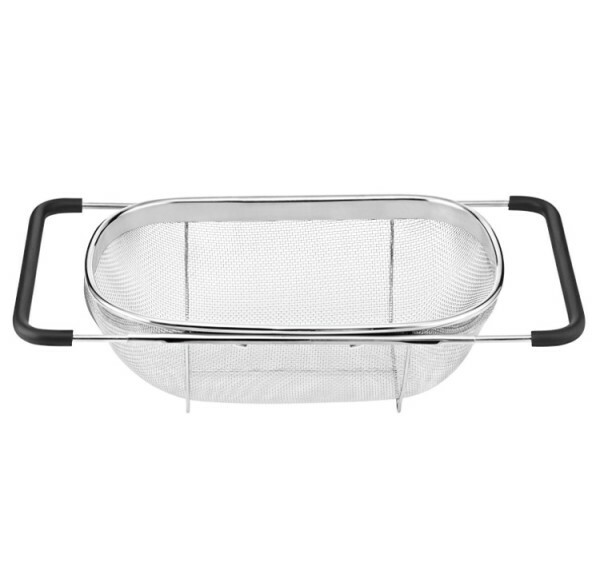 What is your favourite kitchen item/gadget? Who cuts vegetables with a knife! A peeler is non negotiable! 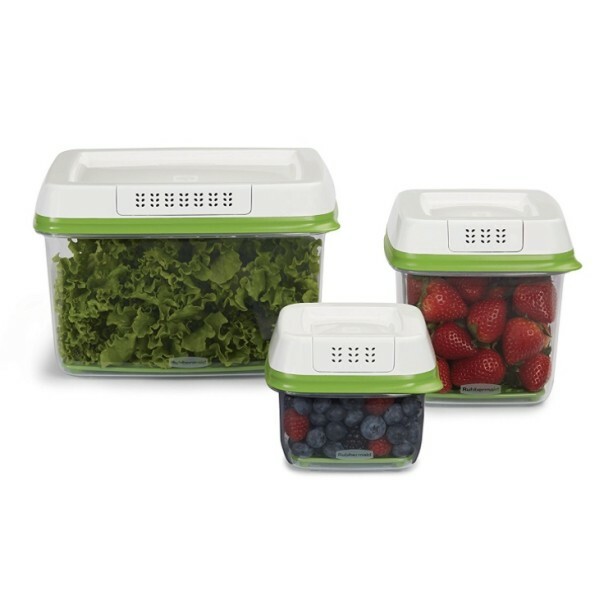 I need to give it a try for the mat, you are making me jealous with the juicer and the produce savers… Thibaut has put a ban on me buying kitchen gadgets as (apparently) we have no space to store them. I am patient and stubborn so it is only a matter of time!! !